Honolua Bay has great snorkeling that you can access from the shore. The easiest way to get down to the water is walking through the jungle at the apex of the bay. This land is private property, so you need to get permission. If you can't get permission, you'll have to take a boat. 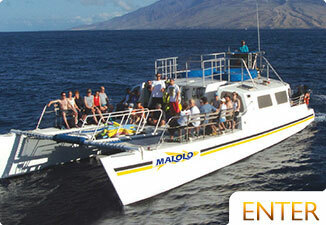 A boat trip to Honolua is our preferred way of snorkeling because they take you directly to the safest and best spots. 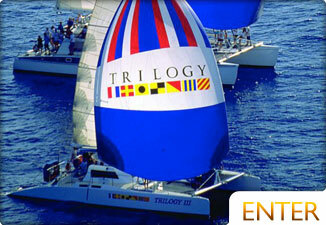 Trilogy leaves from Lahaina Harbor, which is our favorite west side snorkeling vessel. Once through the short trail to the shore, you can snorkel anywhere around. The best snorkeling is on the right side of the bay, the North side. Make certain that it hasn't rained recently because this is also an outlet. Being an outlet is good and bad. It attracts fish, but after heavy rain, it turns the water to a thick muddy brown. If large swells are present, don't snorkel here. Though it usually doesn't break inside, the water will be mixed up and difficult to see through. You'll most likely run into sea turtles here any day of the week. Makulei'a Bay is located just South of Honolua Bay. This is a marine reserve and has a great beach. The snorkeling is good on each side of the bay with coral formations. You'll probably see turtles and a lot of tropical fish. Kapalua Bay is one of the most beautiful beaches in Maui. Just before the Napili Kai Beach Club, you'll find a parking lot and a tunnel. The best snorkeling is on the right towards the North side of the bay. Black Rock in Ka'anapali is famous for it's cliff diving and torch lighting ceremony. The snorkeling around the rock wall is good too. Follow the wall to see plenty of coral, fish and turtles. Be careful of people jumping off the rocks. This is especially a concern for those who are scuba diving and are not seen by the cliff divers. Wahikuli Park has showers, restrooms, parking, and is really easy access right on Highway 30. 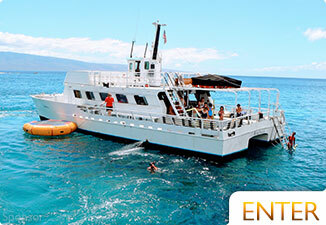 This is a good spot to snorkel and is really close to Lahaina. Keep in mind when snorkeling on the west side that there's more surf potential on this side. Waves and snorkeling don't mix. In the summer, the south side of Maui can get some swells, but all year round the west side can get swell too. South of Kaanapali Beach and Black Rock area you'll find plenty of other snorkeling spots over shallow reef. We usually don't recommend people to snorkel in this area because it's known to be sharky. Most of these sharks are not a threat to humans, but people tend to freak out a bit when they see one. You'll know this area when you see shark sighting signs posted around every couple hundred yards. 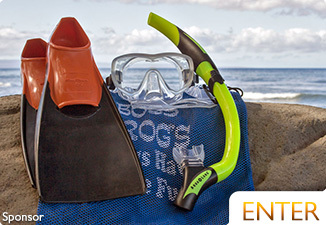 With more than 5 locations in West Maui alone, Boss Frog’s offers the best option for inexpensive snorkeling gear rentals on Maui. As opposed to buying costly equipment once you arrive, or attempting to fit a pair of fins in your baggage, we highly recommend reserving a Deluxe Snorkel Rental online for free and picking it up in-store when you get in. West Maui has a ton of amazing snorkeling spots, so be sure to ask the Boss Frog’s staff for their recommendations about the best places to use your gear! Rentals are by the day or week, so save yourself the hassle and enjoy an easy rental to see some of the most breathtaking underwater scenery and marine life in the Aloha State!